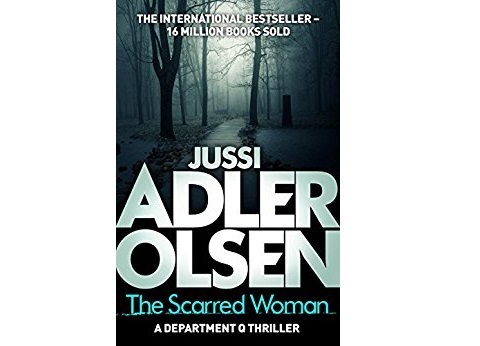 Welcome to TheCrimeHouse Jussi Adler-Olsen! You are mostly known for your novels about Carl Mørck and Department Q at the Danish Police in Copenhagen. How would you describe the series for someone not familiar with your books? Department Q is a series, where each book is a crime novel, but they also form one long story together, which mainly is about Carl Mørck and his assistants Assad and Rose, and recently also Gordon. Every main character in the series has his/her own story, that gets revealed little by little. In The Scarred Woman I reveal Rose’s story. 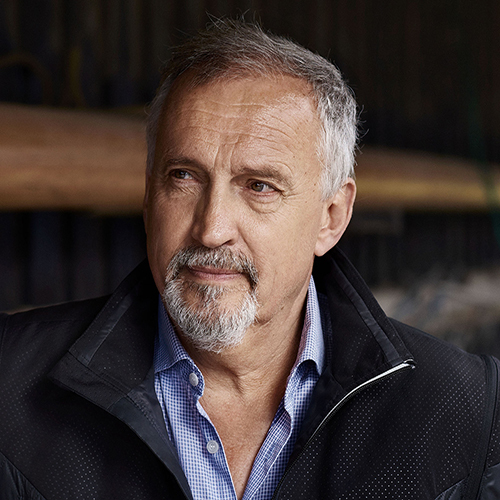 Each book in the series has a crime story, which is closely connected to Carl Mørck’s fate, and the episode where one of this collegaues is killed, and another colleague who we get to know throughout the series – Hardy – is severely injured. I am always curious about how and where authors write? Where and how do you write your novels? Do you work 8-5, at night, at a desk, in bed, etc.? The “best time” to write does not exist, because I always work well, but not always as hard. Of course you can have a deadline, but otherwise you should take the time it takes. For example, I may spend an entire day working on a half a page, which I don’t even finish editing, while I will easily write ten pages another day. It does not depend on the number of pages, but the intensity in each page. In the past, I worked best at night, but that’s not the case anymore. I work when I have time to write, and I always listen to some wonderful music. I just put my headphones on, and then I write. Can you name three authors that are your role models, and why? John Steinbeck is my absolute favorite, and I just visited his childhood home in Salinas, California. His style of writing has been a big inspiration. And of course I need to mention Sjöwall and Wahlöö as well. In my opinion, all Scandinavian crime writers owe them a big thank you for the inspiration they have given, thanks to their unique dialogues and their delicate blend of social and political issues that find their way into their stories. I should also mention classics like Charles Dickens and Victor Hugo. I can read them over and over again. How come you started writing crime novels? Did you always know that you would become an author? I was very fortunate that my father told me early on “you have many talents Jussi, try them one by one.” And I did. In 1980 I decided to to try to write and live in Holland with my wife for half a year, and that’s where I wrote my first novel. The purpose was to see if I could do it. I began to believe in this way of life, but I also thought it was too early in life to bet on it. It was not until 1987, where I had defined the castle for the “The Alphabet House” that I took the leap to become an author with my wife’s full support. You have a very mixed resume, and I think that you see many of your experiences represented in the books. Psychology, politics, film expert, editor, composer and publisher. How would you describe/introduce yourself? Forever curious and searching for new creative challenges. Reader question: Where did you get inspiration for the character Rose? I had Carl and Assad and their relationships and many secrets figured out, but it was not enough. I needed a character, that could create chaos, so I created Rose. Her personality has characteristics and patterns of action from Carl and Assad, which we wouldn’t have experienced otherwise. It is in the interaction between these three – and later also with Gordon – that the characters really come to life. Reader question: How old is Carl Mørck? His birthday is July 8, 1965. Since you have studied film science, I am guessing that you have a good grasp of the genre when it comes to movies as well. What are the two best thrillers you have seen and why? “Ransom” and “No Way Out” with their surprising endings and blazing and intelligent drive. Speaking of movies, how big influence did you have on the movie adaptations of your books? Did you have any influence in casting Carl, Assad and Rose? I have not had any influence on the movies that Zentropa has done. I just finished listening to ”The Scarred Woman” which is a little different from the other books in the series. It is darker and a bit more surreal. Something that is very clear is your criticism of the Danish welfare system and the societal problems that occur when many young people grow up with a feeling that they deserve everything without having to work for it. Can we blame reality shows? Or curling parents? Or something else? And what do you think is the solution? Yes, the young women and their lives may seem grotesque. But they exist, and to me they are a symbol of the ego-centration of our time. In recent years, it seems as if society has become accustomed to the fact that everything first and foremost is about that the satisfaction of my personal needs rather than the needs of others, which may be greater. The virtues of today are no longer showing sympathy or consideration for others, except for those who are closest to oneself – and the better and more distinctly one can satisfy oneself, the better. What is the solution? If I only knew how to conjure a greater empathy for others, then we would have come far. But parents have a great responsibility. The solution is, of course, that they work less, so that they can be closer to their children and show them that presence and tolerance is more important than ambitions and careers. Can you rank the ”ingredients” in a crime novel according to importance? How many novels about Department Q will there be? Do you already know what the next book will be about? The series will have ten novels. We have now come to slowly reveal the secrets of the main characters. In Q7 we get into Rose’s head, and in Q8, which I am working on right now, Assad’s secrets – or at least some of them – will be revealed. In Q9 the turn comes to Carl’s secrets and in Q10 the whole series will be tied together, so you can really read the entire series as one long novel with ten chapters (books). What are you reading right now? Are you following any TV series, and if so, which one? Right now I only read what is needed for my research, but I love watching movies and TV series. My wife and I have for many years watched at least one movie or a couple of episodes of a TV series every evening. ”Designated Survivor”, ”House of Cards”, ”Modern Family”, etc., because American TV shows play in their own league. The latest movie that really hit me was “Lion”. Very beautiful, eminently directed, touching acting. A true experience. Jussi will come to the Gothenburg Book Fair in Sweden this fall, for those who want to see/listen to him there. Note: This interview has been translated from Swedish/Danish, and we take reponsibility for any errors in translation. It was first published on Deckarhuset July 11, 2017. I am a big fan of Jussi Adler-Olsen’s books about Detective Carl Mørck and Department Q, Copenhagen’s cold case division. I read the first three novels in one stretch and it is impossible not to fall in love with the characters. Carl is a man with a reluctantly good heart. Rose is a highly intelligent assistant with a fragile psyche. Assad is the faithful immigrant with words of wisdom about camels, easy to dismiss but wise as few. In this novel we get to follow Carl and Assad’s struggle to help Rose, who is in a deep psychosis. For those of you who think Rose is an enigma we find out about her dark past, which explains a lot. In parallel we also get to meet three young women who all have something in common. The often shop at H&M, want to get as much out of life as possible with minimal investment and all of them are familiar with the Danish welfare system. Annelie works in the welfare system. She is a middle-aged gray woman, who always has done the right thing, worked hard, who was an idealist but has become a cynic. Department Q and these women’s paths cross and there is a bloody clash. This is the 7th novel in the series, and just the re-ignition most series need after six books. The theme is current and the crimes are spectacular. It leads to binge reading, and anger over how some things in the story may affect future generations. Don’t miss our interview with Jussi Adler-Olsen which will be published soon! Big Little Lies is an HBO miniseries based on the bestselling novel by Liane Moriarty. It is creepy and good. If you are not watching it already, you should check it out. It has a stellar cast: Reese Witherspoon, Nicole Kidman, Shailene Woodley, Laura Dern, Alexander Skarsgård, Adam Scott, James Tupper, and Zoë Kravitz. Of course I could not help myself and read the novel after watching the first episode, and this is one of the few cases where I think the screen version is better than the paper version. Of course you get more insight into the characters and their history in the novel, but that is understandable. There have only been a few obvious differences between the two so far, and it will be interesting to see how the rest unfolds on the screen. 1. 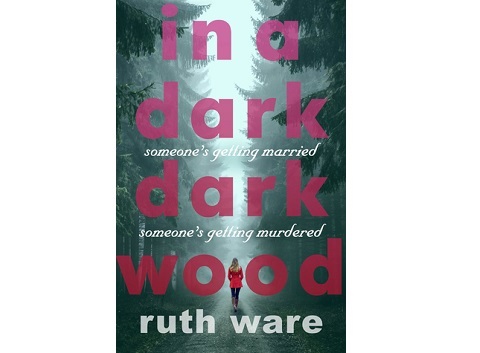 Genre – I rarely consider books outside the mystery/thriller genre (I read 89% crime fiction last year), unless someone has recommended a specific book or it has caught my attention in some other way. 2. Author – When I have found an author I like, I usually read all of his/her books. If an author is already a favorite I have to wait until new ones are published, but sometimes I find a new favorite with several published books that I have not read = jackpot. 3. Recommendations – Recommendations matter, especially when they come from someone with similar taste. And if I consider an unknown book I always glance at its reviews/ratings. 4. Publisher – I must admit that some publishers give books a stamp of quality I trust. I am still somewhat skeptic of self-published books (I have read too many bad ones), but once in a while I come across a really good one and I am trying to be more open (I know there are more gems out there). 5. Title/cover – Title and/or cover rarely makes me choose a book, but it can definitely influence me not to choose one. How do you choose? Do you always know or do you browse? Maybe you always have a large to-be-read pile? If so, how do books end up there? Stephanie Meyer is mainly known for the incredibly popular Twilight series (vampire-themed novels). I was both skeptic and curious when I started reading. I didn’t like the Twilight movies, but have to admit I haven’t read the novels. A young woman and former agent is on the run with rigorous safety measures in place, e.g. sleeping with a gasmask on, different disguises, keeping poison in her earrings, etc. As a chemist and expert in “concoctions” she became a liability instead of a resource when she found out too much information. One day she gets an offer from her former employer that she cannot resist, i.e. helping them to “interview” a guy and in return she would clear her name and get her old life back. The question is if she can/should trust them. This was not my cup of tea. There was too much romance and too little suspense. The main rule for a conspiracy thriller, which you have to categorize this as, is that there has to be a constant looming threat, preferably against humanity and a feeling of “could this be real?” That didn’t happen here. 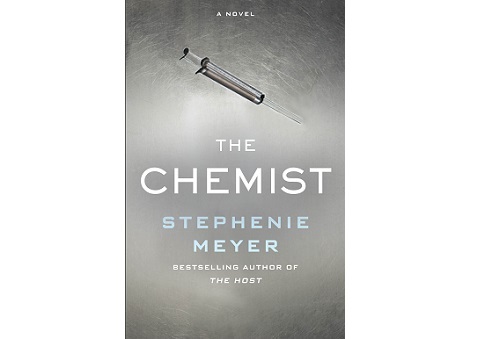 It reminds me of Nora Roberts’ novels, which also feel a bit more romantic, even though I’m guessing that the author maybe thought that the main character’s job as a chemist with macabre job duties, plus a few pretty brutal scenes would give it an edge. If you like the Twilight series and/or Nora Roberts you can disregard my opinions, because you will probably like this novel. Good Behavior is a TNT show that I stumbled upon while looking for a new show to stream. I am happy I found it because it is quite good, and fans of crime fiction will appreciate it. It is a throwback, crime noir type show, with a flawed main character–except this time it is a female character, which is a nice change of pace. I never watched Downton Abbey and was not familiar with Michelle Dockery, but you cannot take your eyes off her, and her performance carries the show. She is paired with an Argentinian actor, who I have also never seen before, but his performance is also outstanding and complements hers perfectly–the chemistry is undeniable. She plays a burglar/con artist, struggling with addiction, just released from prison, and her path becomes intertwined with his character, a mysterious hit-man. A TV critic I used to read, Andy Greenwald, complained that most new shows took place in Los Angeles, New York, Washington DC, or maybe Chicago, but this one is a refreshing departure from that usual path and takes place mostly in small town North Carolina and some of the surrounding states, and the creators use this setting to enhance the look and feel of the show. It is a good rainy day/snowy day show to make it through this winter, and I recommend it if you are able to get access on TNT or other streaming services.